Christmas celebrations for children are too often marked by family divisions when relationships break down. 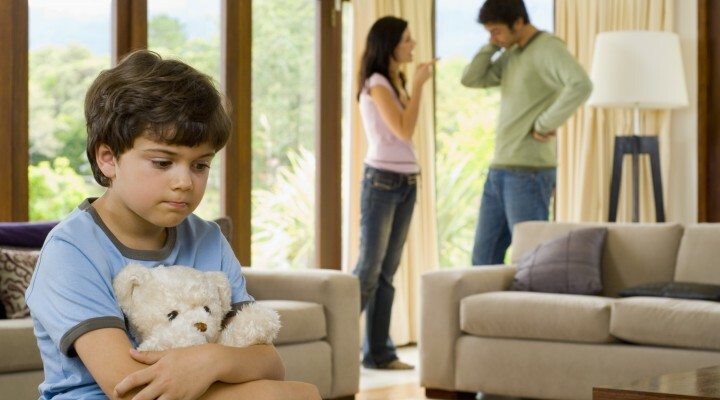 According to statistics from the ONS around 100,000 children per year see their parents divorcing, with many of those families breaking up immediately after a last Christmas together, and family lawyers seeing a surge in enquiries for divorce each New Year. Alongside, there are many more children who will be affected by family breakdown, but who are not shown in those statistics, where their parents are not married. While the break-up may offer hope of ending a difficult time, too often it marks the start of a new challenge, with couples engaged in a drawn-out and combative process, instead of collaborating to find common ground. For many families, the final Christmas will be marked by arguments and behaviour that may come to be used as an example of the unreasonable behaviour that will form grounds for divorce. To secure a divorce, the marriage must be shown to have broken down irretrievably, with most being ‘fault-based’ - adultery, unreasonable behaviour and the rarely-used fact of desertion. The only alternative is a period of separation of at least two years before issuing the divorce petition, but separate living arrangements can be difficult to achieve before assets have been divided through the process of divorce. And while the break-up for unmarried couples appears to offer a simpler exit strategy, it underlines the lack of legal protection for cohabiting partners. There have been calls for a change in the law to allow for ‘no fault’ divorce without long separation, with those advocating the change arguing this could reduce animosity and provide a better environment for children. Most recently Baroness Hale, the first female president of the Supreme Court, spoke out to say that the law should be changed to address injustices, including ‘no fault’ divorce, statutory backing for pre-nuptial contracts and greater rights for cohabiting partners, who have been shown to be at greater risk after a break-up, with few routes for financial protection. Family law expert Monika Pirani of Docklands Solicitors explained: “Many people who have been living together for any length of time, sharing a home and bringing up children, think they have some special rights through a ‘common law marriage’. But there are no such protections unless something is legally owned between the two of you – for example if your name is on the title deeds for a property, as joint tenants or tenants in common, or if you have a jointly named savings account. For those couples anticipating their last Christmas together, the advice is to seek collaborative approaches to arrangements for both children and financial matters. For divorcing couples, mediation will usually involve sorting out such arrangements separately from the actual divorce proceedings, with the resulting agreement likely to be presented to the Courts for a formal consent order to be made. Please call us to discuss your circumstances and how we can help you. Our family team are highly experienced and can offer expert advice on all areas relating to divorce and cohabitation and for those who don’t come to us for advice we have a team of mediators too.